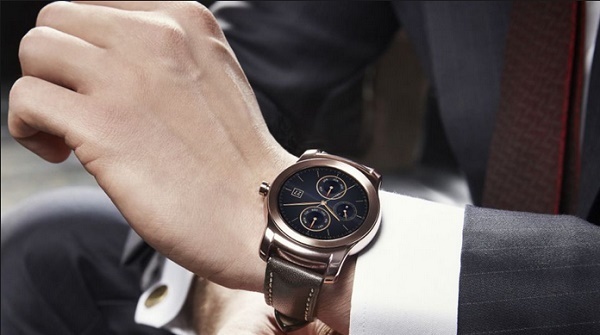 Good news for LG’s G-Watch lovers!! LG has announced its new version LG Watch Urbane, which takes that same vivid, fully-round P-OLED display on a polished silver- or gold-finished steel body with stitched leather strap, which can be swapped out for standard 22mm watch bands. The LG Watch Urbane has a 410 mAh battery. It’s IP67 dust and water resistant, but isn’t meant for showering or swimming. It doesn’t incorporate on-board GPS, like Sony’s SmartWatch 3. Its features seem similar to the LG G Watch R: a 1.3-inch 320×320 OLED display at 245 pixels per inch, and a 1.2 GHz Snapdragon 400 processor. There’s also a heart rate monitor for workouts plus a barometer for elevation, and the Android Wear-standard 4GB of storage and 512MB of RAM. It’s also clear that this new polish on LG’s watch is timed to go against the imminent Apple Watch. The pair of releases seems to be triggering a new trend: higher-end smart watch design. It’s clearly well-timed to go up against Apple Watch, and it might indicate other smart watch-makers are about to start trying for higher-style redesigns, too. This LGs announcement comes a couple of weeks before Mobile World Congress in Barcelona, aiming to get a head start on what’s bound to be a lot of new smart watch news.